Perimeter alarms are ideal for adding a layer of security to things outside of your property, from outbuildings to caravans, boats, stock yards and even fuel supplies. Perimeter alarms are particularly popular with farms and rural properties. Perimeter alarms can be set up to call you when an alarm is triggered, which makes them particularly useful in combination with remote access CCTV systems because it gives you the ability to receive an alert and then assess the situation via your CCTV system. As the challenges and demands of an external environment are so much greater than an internal environment, different products and technologies need to be employed. External detectors need to provide peace of mind that an intruder will always be detected before gaining access to the premises, and that unexplained activations are kept to a minimum. 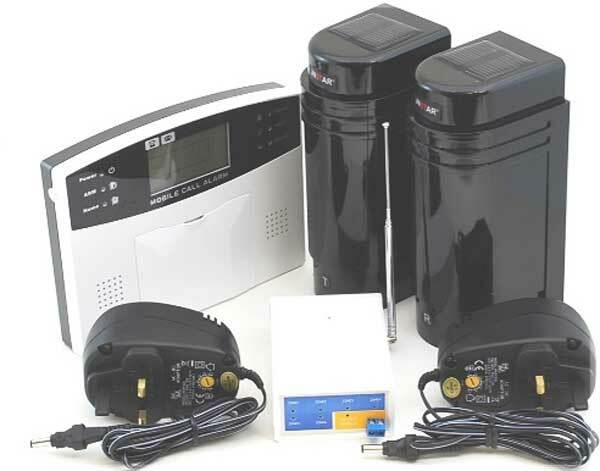 LG Security has provided perimeter alarms to all types of business and homes. In this time we have developed a combination of technologies to provide the most reliable point-to-point perimeter alarms available. The fundamentals of an active infrared beam are simple; a transmitter emits a signal, a receiver recognises that signal, and a break in the signal causes the receiver to report an alarm. The stability of this signal is paramount to the reliability and effectiveness of the system. Perimeter alarm systems tend to be made up of the following elements. If you have any questions about perimeter alarm systems or need any assistance making a decision you can telephone us on 01480 465203 or contact us by email via the form.